As both James Bond and myself are sharing a 50th anniversary I thought I’d discuss Agents, Change Agents and how we should all aspire to be one! Firstly what is a Change Agent? A Change Agent is a person who leads change within an organisation, by championing change and by helping to communicate the excitement, possibilities, and details of the change to others within the organisation. A change agent doesn’t need to be a full-time, formal role. It can be simply the way someone chooses to be in an organisation. 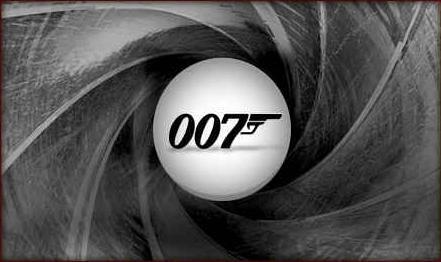 What are the personal qualities of the ‘007’ of Change Agents? Probably not a surprise to you that the best agents of change, love change! They thrive on being involved in new ideas, initiatives and projects and are not afraid to roll their sleeves up to get the job done. I’m not talking of their ability to develop exploding pens, but innovation in the way they communicate, engage and enrol others in the change effort. They don’t just come up with ideas, they know how to apply them. Great Change Agents are curious, experimental, and they apply their discoveries to the organisation’s goals. Great change agents help to shape the future. They can see very clearly where the change effort needs to go and have a clear vision of what the future will feel and look like, and more importantly the key steps to take the organisation there. Change Agents need have enthusiasm in abundance. It can often be a tough role and often requires a great deal self-motivation to keep momentum in an organisational change effort. Communication is THE most important part of being a good agent for change. The best of the best have the ability to articulate the WIIFM – ‘What’s In It For Me’ at all levels of the organisation. They know what makes people tick and know how change will impact individuals and teams alike. This one is certainly near the top of my list for a killer Change Agent. Change Agents, by their very nature, speak to people on the shop floor right the way up to Chief Executive levels in organisations. They hear what the ‘troops’ are saying and they see how the senior management interact and behave. By being effective, and by speaking the ‘awful’ truth when necessary, they can be the conduit from bottom to the top of an organisation, conveying key news, good or bad, straight to the people who can change things for the better. Bond always delivers and then some. So do great Change Agents. They always go the extra mile to ensure that everyone that is impacted by change are engaged, enrolled and bought in to what is required of them. They work tirelessly to engage with the key influencers to ensure that the organisation is as prepared as they can be for change. Those that are avid readers of Think Oak! know of my passion for generous or active listening. Great Change Agents are masters at listening for what is being said and more importantly for what is not being said, taking time to really understand the challenges that individuals, teams, departments and functions face. They take this feedback and tailor communications and training as well as feeding the learning back into the wider organisation. To many people, change is unsettling, at best and to some downright scary. A solitary piece of generic communication to the organisation is unlikely to affect change and unlikely to address people’s questions or concerns. Change Agents invest time to understand people’s worries and address them with empathy to get the right results. For Change Agents to be effective, they have to a reputation of trust with their peers and others in the organisation. They always do what they say they’ll do. Change Agents can’t be procrastinators. Decisions often need to be made quickly especially around people issues and business impact challenges. Great Change Agents act with urgency and aren’t afraid to deliver difficult messages to senior management or management teams. Stakeholder awareness and management is crucial to the success of any major organisational change programme. An effective Change Agent is a key influencer in an organisation. The have the ability AND relationships, to overcome issues and barriers quickly. They very often anticipate the challenges ahead and engage with key stakeholders in advance to smooth the road ahead. Top Change Agents are not in it for themselves. They are 100% behind the change itself and the success of the organisation. So whilst a ‘007’ Change Agent isn’t quite as glamorous an individual as James Bond, they’re still pretty special. Hope you enjoyed the post. As always, would love to hear any feedback you may have.